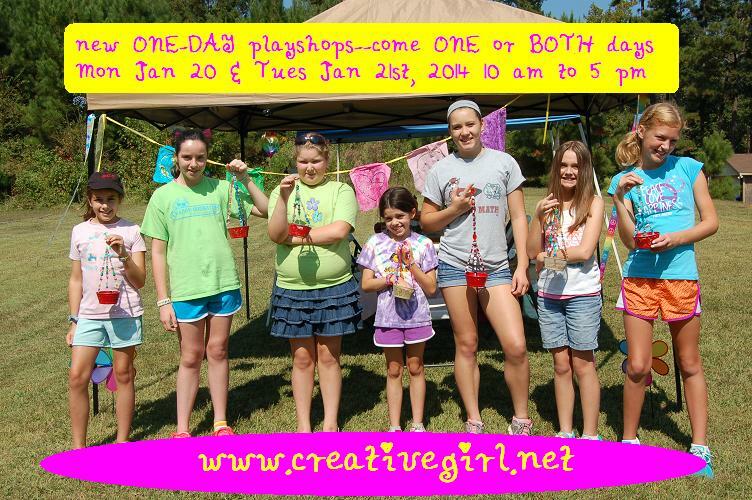 Thank you for registering for the January 2014 Kindness is Creative Playshop at Creative GIRL. Please right-click to download Creative GIRL registration jan 2014 form. Fill out and email to Becky or contact her for mailing address. If you need to cancel for any reason, please call me as soon as possible. (I’ll provide my phone number at time of registration.) Cancellations received within 30 days of playshop will receive a full refund, less $5 paypal service fees (per $100). Cancellation with fewer than 30 days notice, registration can be transferred to a different girl. If you are unable to find a replacement, we will issue you a credit that can be used towards future playshops. Questions? Contact Becky.